The Hidley steamer was rated at 8 hp. This was a two-passenger runabout weighing 850 lbs. A multi-passenger trap was also built. 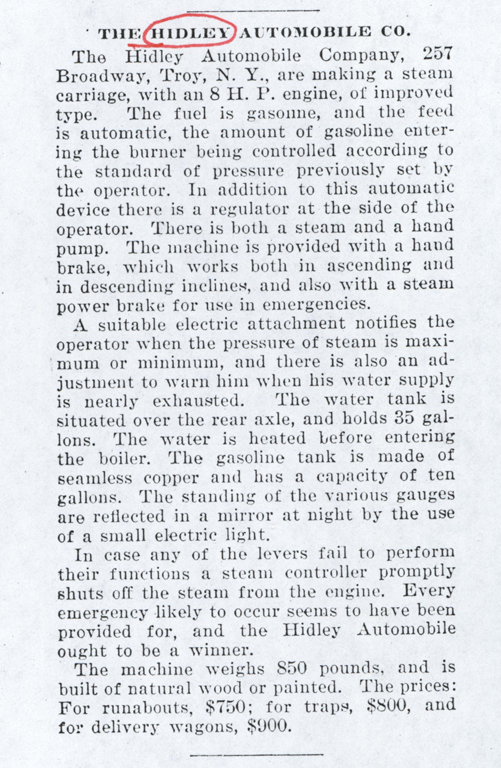 The Cycle and Automobile Trade Journal carried this September 1901 article about the Hindley Steam Carriage on page 36. John A. Conde Collection. Contact us if you have additional information about the Hidley Automobile Company, or if you have questions.